It's pretty easy to be a hero. A small gesture or kind word is all it takes to brighten someone's day. 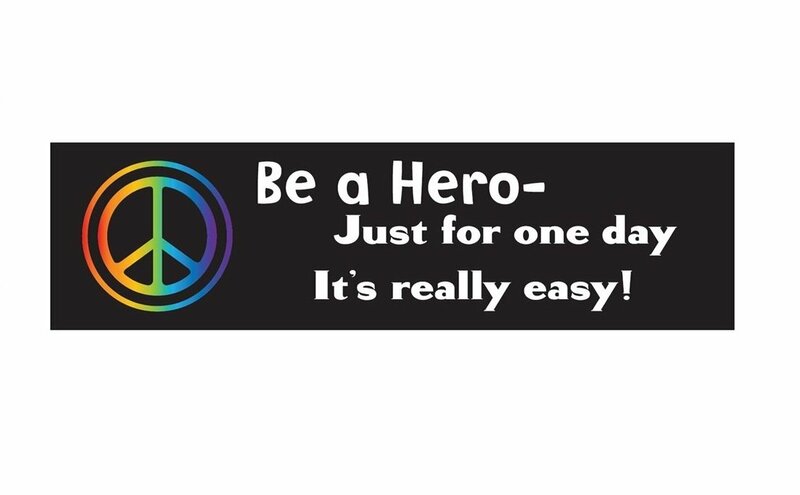 This bumper sticker features a rainbow colored peace symbol on a black background. Measures 11.00" x 3.00". Printed on self-sticking, vinyl material. Sticker thickness is 4.5 mil.